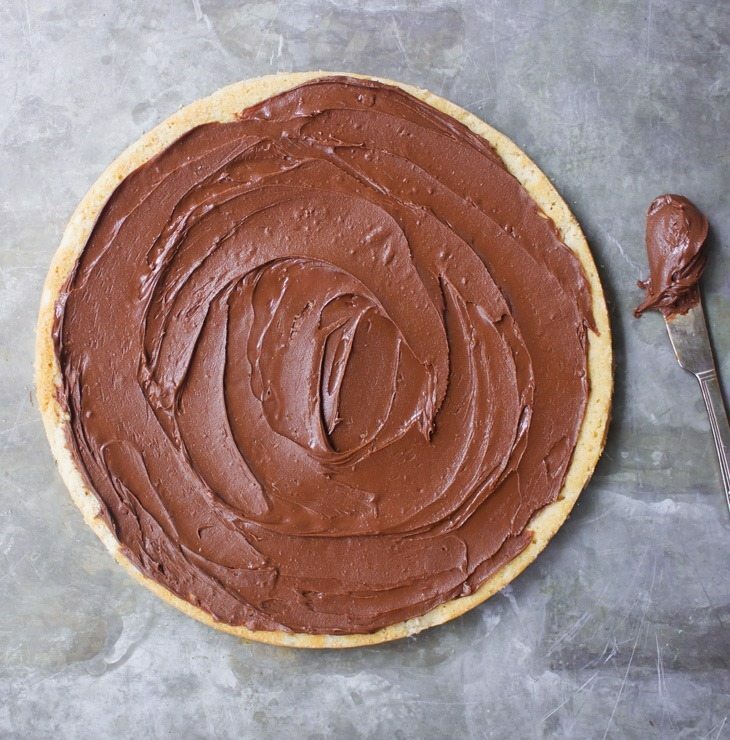 A soft sugar cookie crust is covered in smooth homemade chocolate frosting, for one completely epic dessert pizza. I wanted to send 2016 off in true chocolate-covered style, with this giant frosted sugar cookie pizza. 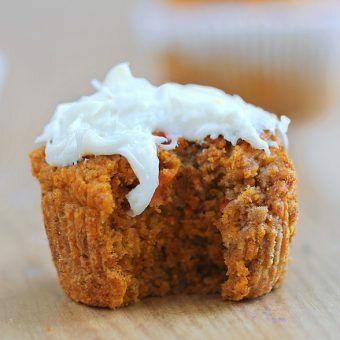 The versatile recipe is–or can be–flourless, gluten-free, vegan, paleo, and even sugar-free! 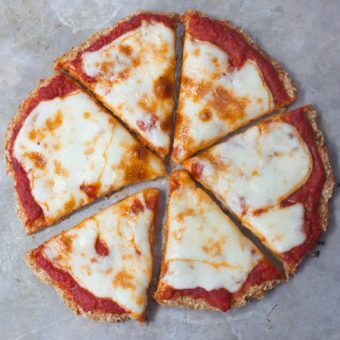 *If a nut-free version is needed, try either my Healthy Sugar Cookies or Healthy Breakfast Pizza as a base instead. Preheat oven to 350 F. Line an 8-inch springform pan with parchment, and set aside. 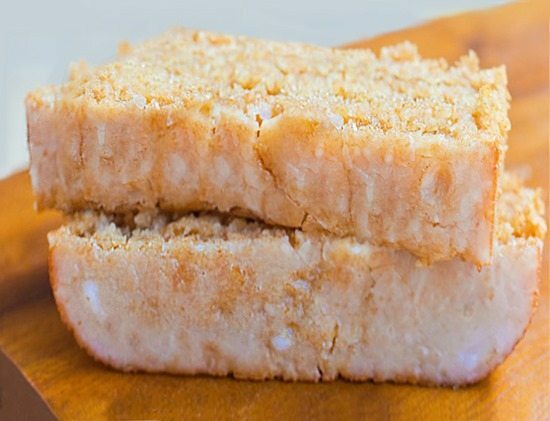 (If you have only a regular pan, make sure the parchment goes up the sides, and be very careful lifting it out so the crust does not break. If you only have a 9-inch pan, you might try scaling all ingredients up 1.5 times.) In a measuring bowl, stir together all ingredients except frosting. Transfer the dough to the prepared pan, and use a second sheet of parchment to smush the dough out evenly, pressing down again and again until the dough covers the bottom of the pan. Bake 12 minutes on the center rack. Let cool at least 20 minutes before either frosting right in the pan or removing from the pan and then frosting. I cut the strawberries with a heart-shaped cookie cutter. Chocolate Sugar Cookies – NO Flour! 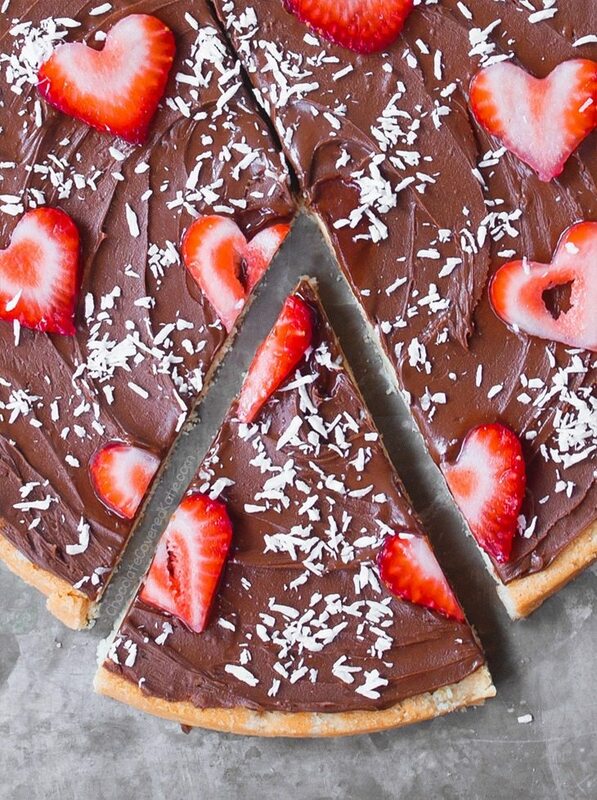 « 12 Holiday Desserts That Are GOOD For You! 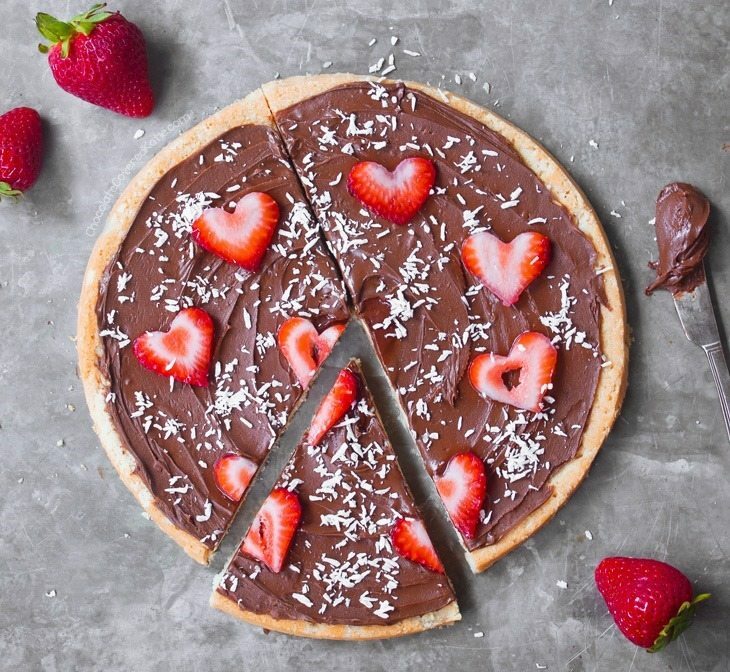 This dessert pizza looks yummy! I might try it with either your healthy Nutella or a sugar free chocolate frosting. So I absolutely hate the tedious nature of sugar cookies. Sugar cookies with thick frosting as my husband’s favorite. This holiday season I skipped making them in favor of less tedious cookies, and my husband was bummed. Womp womp. So… pizza version of a sugar cookie with thick frosting is a PERFECT compromise. I might stick some random festive sprinkles on there just to make him happy. Haha! Can I sub xylitol or erythritol for the honey? THis looks amazing! You can definitely experiment but might have to add extra liquid? Once again, you’ve made a holiday bright! 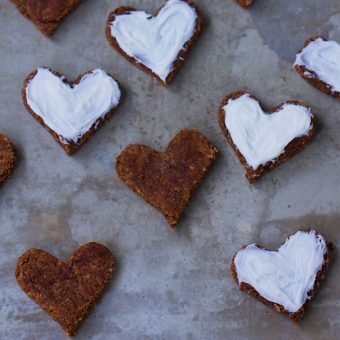 I have been gluten, dairy, and sugar-free for ages, but every now and then I really want to make a treat! Your unbaked brownies (black bean ones, too!) have sustained us. (: Your cauliflower pizza crust helps me enjoy pizza night with my family. We make your cookies on a regular basis. My daughters are growing up making your recipes, my neighbors trade notes on things of yours we love……THANK YOU for this website and for giving those of us with dietary restrictions a little fun. 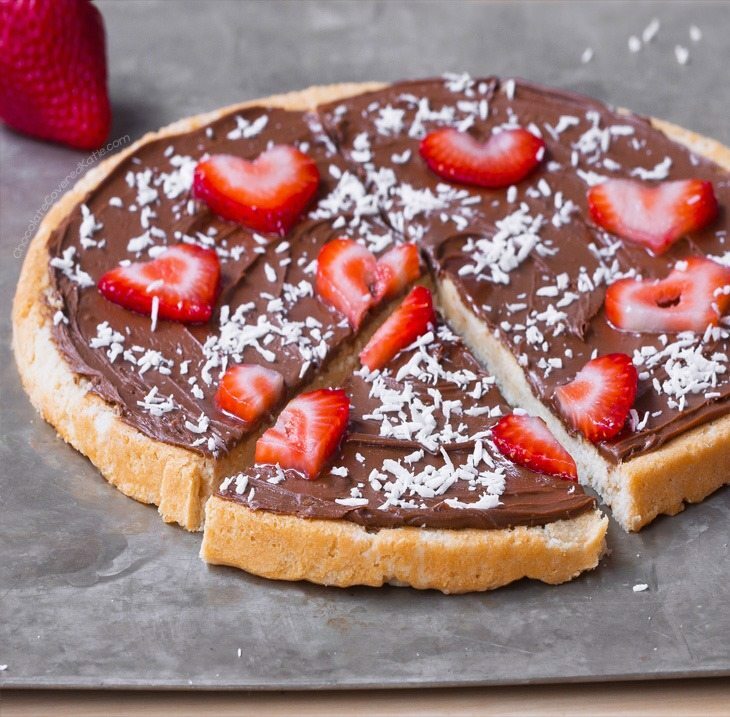 My 3 year old and I are making your dessert pizza as we speak, and she’s licking the bowl of both the crust ingredients and the healthy Nutella. Thanks for a special New Year’s Eve dessert! We’re big fans. Happy New Year, Katie! Cheers to one of the best years for you yet! 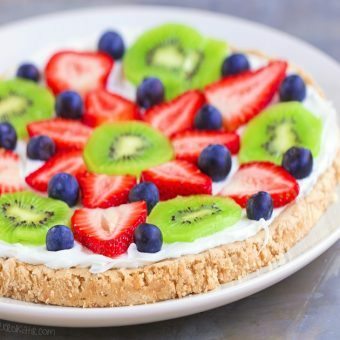 This dessert pizza looks delicious and is absolutely worth celebrating! How do you cut round strawberries with the heart cookie cutters? Can you use gluten free baking mix instead of almond flour. Is that possible to keep it in the freezer? Thank you so much for the amazing,life changing website!